We made it to Oban! 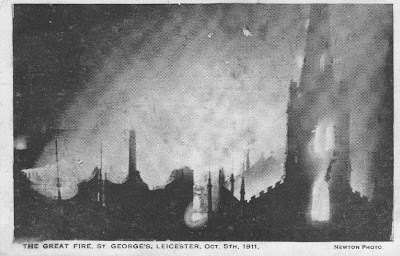 This postcard of the Great Fire, St Georges, Leicester, October 5th 1911, was posted shortly after the Great Fire to Co Cork, Ireland. On the back it says "Taken from top of Fire Station - 20 minutes exposure."